Life Insurance Corporation is the largest insurance company in the country with a vast customer base. The company also offers career opportunities for graduates. Recently, LIC has started the application process for the post of Assistant Administrative Officer (AAO). Candidates with Indian nationality and the required qualification are eligible for this post. AAO post is also famous as Apprentice Development Officer. This coveted post is highly prestigious and brings handsome remuneration to the in-charge. Those who are interested in applying for this post can get complete information about it, including important dates, eligibility criteria, exam pattern etc in the article. There is relaxation in the upper age limit for reserved category candidates. For AAO (Generalist) – Bachelor’s degree (any discipline) from a recognized University. For AAO (Chartered Accountant) – Bachelors’ degree and passed Final examination of Institute of Chartered Accountants of India. Candidate must be Associate member of ICAI. The membership number will be cross-verified with ICAI. 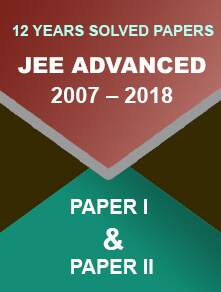 For AAO (IT) – Graduation degree in engineering (IT/Computer Science/Electronics), MCA, or M.Sc. (Computer Science) from a recognized University. For AAO (Rajbhasha) – PG degree in Hindi/Hindi translation with English as one of the subjects in graduation. PG degree in English with Hindi as one of the subjects in graduation. PG degree in Sanskrit with English and Hindi as subjects in graduation. For AAO (Actuarial) – Bachelor’s degree from a recognized University and candidates should have passed CT1 and CT5 plus 4 or more other papers of the examination conducted by the Institute of Actuaries of India / Institute and Faculty of Actuaries, UK. The application forms of LIC AAO 2019 are available at the official website of LIC - www.licindia.com. The last date t register for the exam is 22nd March 2019. Candidates are advised to submit their application forms well before time. Go to the official LIC website - http://www.licindia.in/. Scroll down and click on ‘Careers’ link at the footer. Click on the ‘Recruitment of Assistant Administrative Officer 2019’ link. Click on ‘CLICK HERE FOR APPLY ONLINE’ link. Click on ‘Click here for New Registration’ button the top. Read the important instructions and click on the ‘CONTINUE’ button. Enter the basic information for registration. Use the registration ID and password to log-in and complete the application form. Provide your details such as qualification, parents’ name, address, etc. Upload the scanned images of your photograph and signature. Do check the information bulletin for specification of the scanned images. Check all the details carefully before final submission. Make fee payment and once the fee status is updated successfully, take a print of the confirmation page. General category candidates need to pay ₹ 600 and reserved category (SC/ST/PwD) candidates need to pay ₹ 100 as the application fee amount. Candidates have to bear the transaction charges. They can pay the fee online through debit card, credit card, net banking or mobile wallets. Important Note: Marks obtained in the English Language section will not be counted for preparing merit list. English language test will be of qualifying nature in both Preliminary and Main phase. 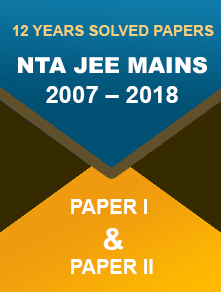 For AAO (IT/Chartered Accountant/Actuarial/Rajbhasha) Main exam pattern, check the official information bulletin. Candidates will be shortlisted for the Interview phase on the basis of marks scored in the Main examination. Interview round will be of maximum 60 marks. The minimum qualifying marks for Unreserved, EWS, OBC, and PwD category candidates are 30 and for SC/ST candidates are 27. The final merit list will be prepared on the basis of marks obtained in the Main Exam and Interview phase. LIC has not prescribed any specific syllabus for the LIC AAO exam. 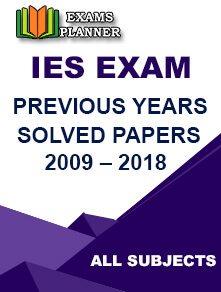 The syllabus provided here is on the basis of previous years’ papers. English Language: It will cover three sections— Comprehension, Vocabulary and Spelling. Comprehension section will include Passage Correction, Sentence correction, Error detection, Theme detection and Deriving conclusions. Vocabulary section will cover Word formation, sentence correction, Antonyms and Synonyms. Quantitative Aptitude: It will cover Arithmetic Aptitude, Average, Percentage, Profit & Lost, Time & Work, Time & Speed, Menstruation, Geometry, Number Series, Simple Interest & Compound Interest, Data Interpretation, Data Sufficiency, Simplification and Approximation and Pie-Chart. Computer Knowledge: It will cover Computer Basics, Microsoft Office, Operating Systems, Microsoft Windows, Computer Architecture, Computer Software Computer, Cyber Security, Memory, Input and Output Devices, Networking, Internet and Data Base Management System. General Knowledge: It will cover Banking Terms, Agriculture, Fiscal-Monetary Policies, Indian economy International Economy, Finance, Books & Their Authors, Awards & Honors Sports, History of Banking, countries/currencies, Indian constitution, Marketing, UNO etc. The LIC AAO 2019 admit card will be available on the official website from 22nd to 30th April 2019 for the preliminary phase examination. An intimation will also be sent to candidate’s registered mobile number/email ID for downloading the admit card. Candidates can download the same using their log-in credentials. Affix a recent photograph on the call letter/admit card after downloading. Carry the admit card, a photo ID proof (in original) and photocopy of the same ID proof to the examination centre. Candidates will not be allowed to appear for the exam without the hall ticket. E-Aadhar card and ration card will not be accepted as valid photo ID proof. Although there is no specific dated declared as yet for LIC AAO result 2019, it is expected to be declared within six months of the examination. Candidates must keep a check on the official website for result updates. Separate results will be declared for the Preliminary and Main phase examination. The final result/merit list will be uploaded only after the completion of the interview process. “Shortlisted candidates in the final merit list will have to undergo Pre-Recruitment Medical Examination and if found medically fit, will be offered an appointment,” states the official notification. What is the full form of AAO? Assistant Administrative Officer and it is also known as Apprentice Development Officer. What are the first and last dates for the application submission of the LIC AAO 2019 exam? 2nd March to 22nd March 2019. What is the educational qualification required for LIC AAO post? The candidates with both a Bachelor’s and Master’s degrees are eligible for this post. Post-specific qualifications can be checked in the official information bulletin. What are the minimum and maximum age limits for candidates taking this exam? The minimum age limit is 21 years and maximum age limit is 30 years. Relaxation will be provided for reserved category candidates. How to get the application form of LIC AAO 2019 and fill it? It is available on the official website of the LIC and the steps for the application process are mentioned above. What is the syllabus of LIC AAO exam? LIC India has not prescribed any syllabus for the exam. However, there are study material and books available in the market for preparation. 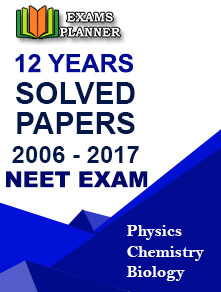 These books cover topics based on previous years’ question papers. How many questions will be asked in the exam and what is the maximum mark? The Preliminary exam will have 100 objective type questions and the Main phase comprises of 120 objective type questions and 2 descriptive questions. The preliminary exam is of 1-hour duration and the Main exam is of 2 hours duration. 30 minutes will be provided for descriptive paper in the Main phase examination. There will be sectional timings in both the papers. Is medical test important for LIC AAO exam? Yes, it is important. The official notification states that appointment will be offered only if the candidate is found to be medically fit. When will the result of LIC AAO exam be declared? As of now, there is no specific date for declaration of the result, though it is expected to be declared within six months of exam. No. The graduation degree must be complete.